There was an actual Sun-day a couple of weeks back, remember it? I am weakly trying to pun the last day of the week – by that I mean, that it was a Sunday and it was actually sunny. Feeling energised, we went to Bewl Water in Kent, as a way to have a family day and get my husband’s bike ride in. This is the area we moved to Lewes from, so it always feels a bit nostalgic to head back there. It’s why we also visit Bedgebury Pinetum from time to time – and it works in much the same way, in that you pay a fee for your car to get in, and that’s the entrance fee. I didn’t quite realise quite how close to Scotney Castle Bewl is (bang next door), which my boys and I had been to only the day before (look out for another post for that one – true magic). Quite a lot of driving then, because both are an hour from Lewes. Bewl Water is a country park that surrounds the largest lake in the south east. The lake is man-made and was created in the early 1970s by Southern Water. It holds 31,300 million litres of water when full (bit of a factoid for you). To the left, when walking down the grass slope from the car park, there’s a dam-like structure you can walk along the top of, with an overflow tower sitting in the water in front of it that looks very Brutalist and James Bondy. At the outdoor centre here, sailing, windsurfing, canoeing, kayaking and climbing on real rocks can be arranged (I assume you have to pre-arrange it though). There’s also fishing, and quite a cute passenger boat called The Swallow, as well as bike hire (details for all below). We didn’t do any of these things, but only because we were here only a couple of hours. Instead we hung out at the BRILLIANT adventure playground – a large (new) pirate ship, with two levels and all on sand, an area of various climbing bits and bobs, a massive slide, and a large wooden playhouse (modelled on the three bears’ one, with a bed in each room (big, middle-sized and small)). There’s a further toddlers’ playground closer to the car park. We took a picnic (please don’t rely on the Woodpecker restaurant for anything but drinks, it is dreadful! Do not get me started on the queues and service!) and after a play and a lie on the grass by the water, took our sons’ bike and balance bike and walked the start of the 12.5-mile round-reservoir bike route. There had been a super lovely breeze when were by the water, but on the sandy ascent up towards Chingley Wood the wind dropped away and it became absolutely baking under the cloudless sky, so we very quickly abandoned the plan. We’d thought it would be flatter, which it probably is once you’re past this stretch, but it was too hot and too steep for our children’s small legs. But the day wasn’t wasted. After a lot of blackberry picking, we went back to the pirate ship where my two started to play at terrorising some girls (and we hid to watch and have a good laugh over it. Miniature flirting is excellent value!). Bewl Water is a great place to hang out, and had we had more time and thought it through properly, we would have hired a bike with a child seat for the little one, and helped the bigger one up that hill and persevered with the bike ride. Apparently in places it goes through meadows and woodland and even takes to quiet country lanes to avoid disturbing the nature reserve. Or we would have done a bit of a walk (note that if you want to walk the whole thing, it takes about five hours). Overall, the nice thing here is being by the water, yet not being on a beach. Don’t get me wrong, j’adore a beach, but it just made a refreshing and nostalgic change: there’s something so inherently British about it – like 99 flakes and wind breakers. And I think even these pictures look like they could have been taken in the 1970s, don’t you? Disclosure: No compensation, financial or otherwise, was offered or accepted for the writing of this post. 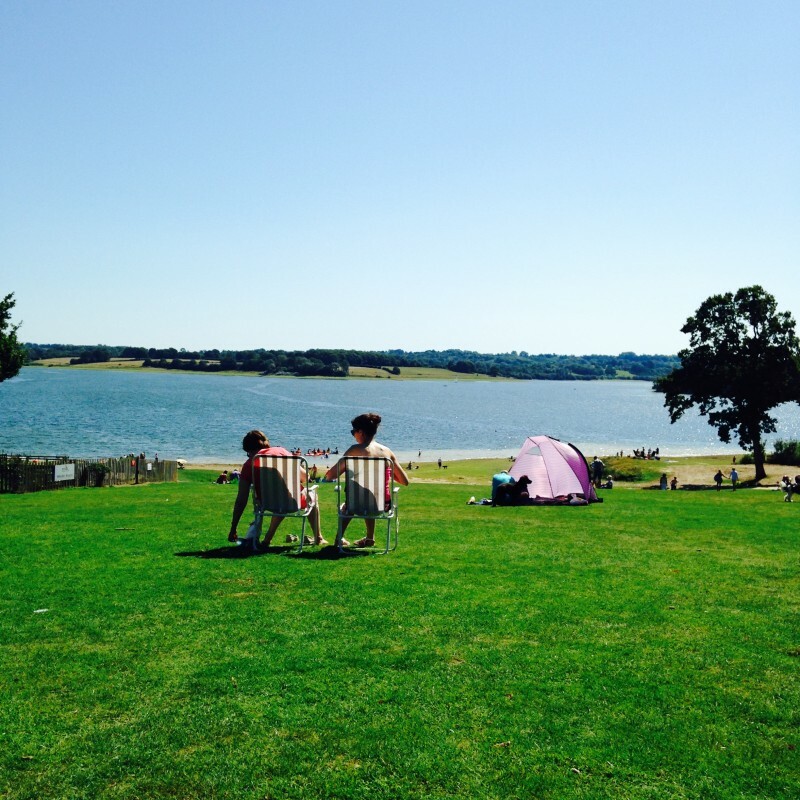 My family and I were visiting Bewl Water and I decided to take a few snaps and then to write about it. Nice post, I love that place, I grew up near there – Hawkhurst way. What a lovely day. I think I will have to plan a day there soon.